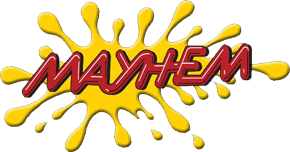 If you want to play Paintball in Shenfield Mayhem paintball is around 20 minutes not far from Brentwood so if you are travelling from Shenfield we are based only 5 minutes away from the M25 junction 26. I travel to work from Brentwood everyday so not a long journey at all, personally I would go through the back roads past old McDonald’s farm though Tysea hill. Why Us, if you have not been to Mayhem Essex before then you really have missed out we have an amazing 16 different playing fields to choose from with Replica Call of Duty Maps, to our Urban area with Cars to hide behind. I would recommend visiting or having a look on our scenario page at our different Maps. Equipment wise we are unique in the fact we supply Thermal Double Glazed goggles which don't steam up, paintball sites only normally supply single glazed lens which steam up. The goggles we supply are the same spec as what professional players would use but with more protection. They are very comfy we have to get the special made to fit out specification. If you are considering playing paintball and travelling from Shenfield please come and have a look around, or have a good look though our scenarios page.